Summer house. Sauna with my Mom. Dipping into lake. Just after the sunset. Water 18 degrees, air around 10 degrees. Cold? A bit, yes, but feels rejuvenating. 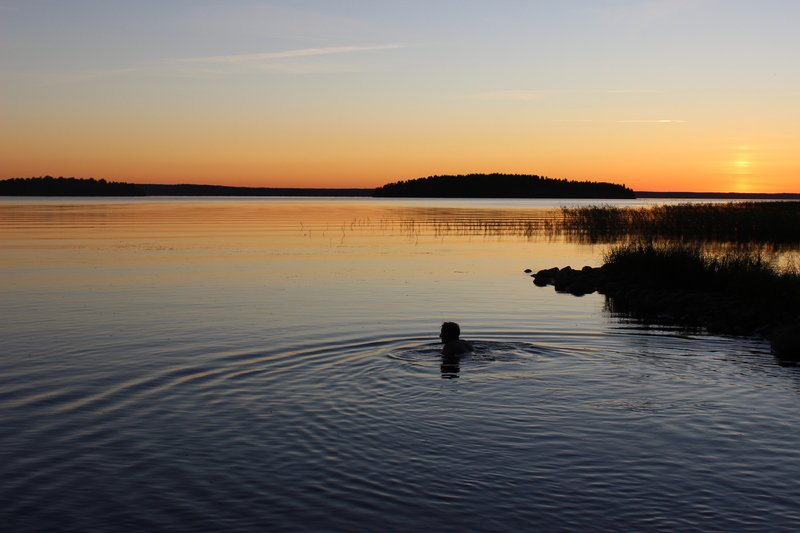 Magic Finland, dear summer house. Until next summer! Swim after sauna. Feels fantastic! Even when water is only 18 degrees. This entry was posted in Uncategorized and tagged Finland, nature, summerhouse on September 9, 2015 by Miia.